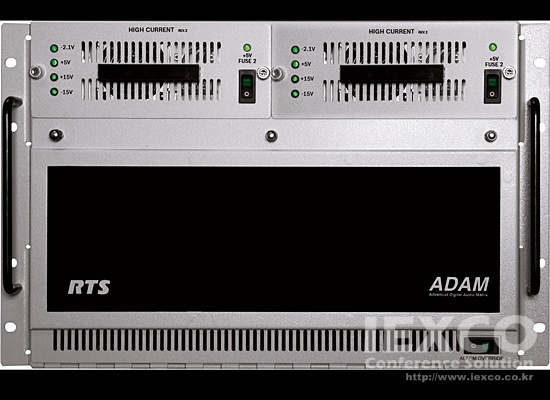 Using a Time Division Multiplex (TDM) technique, ADAM grows linearly as users are added; the system comes standard with newly redesigned, redundant high-current power supplies. The Ethernet master controllers, MCII-e, which allow for automatic changeover in the event of failure. The MCII-E master controller allows Ethernet connectivity between the ADAM intercom and a PC running AZedit programming software. It can support 32 simultaneous AZedit sessions via Ethernet and three sessions via serial. ADAM is available with the widest variety of interface cards in the industry, which include the AIO-16, AES-3, and RVON-16 VoIP interfaces. It also has a wide variety of cabling options include RJ-11s, RJ-54s, CAT-5s, DB-9s, jack fields, and many others. 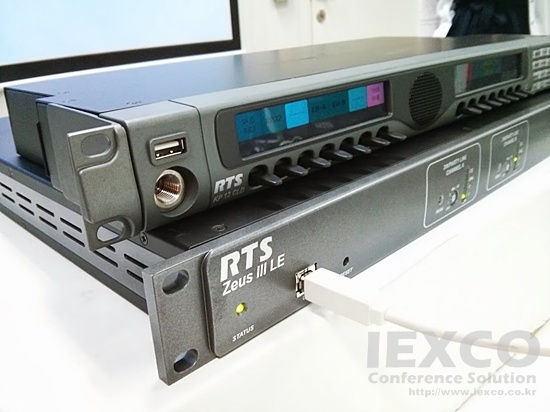 RTS Cronus intercom is a modular, 32-port digital matrix intercom in 2RU (rack units) that can hold up to four AIO analog or RVON-C VoIP cards with eight ports each. Based on advanced DSP architecture, Cronus intercom has the ability to link up to four units into a single 128-port matrix. The Cronus can be preconfigured for fiber with a connection up to 9.3mi (15Km), or coax for a connection up to 300′ (91.4m). When connected as a single matrix, individual Cronus intercom controls remain autonomous and independent at each matrix for the highest reliability. Cronus is available with an analog card or the RVON-C VoIP card. Zeus III is the next generation of compact intercom system units, giving compact systems ore options for their intercom configurations. Zeus III has 32 channels IN/OUT and two additional configurable party-line interface channels. Its compact size is perfect for environments with limited space. With integrated Ethernet, Zeus III can be configured from virtually anywhere on the network using AZedit Intercom software. Alternatively, Zeus IIII can be directly connected to AZedit a USB connector on the front panel. The system has 32 standard RJ45 connectors, making it easier to connect the intercom system with audio lines and keypanels by keeping the RTS wiring scheme.